On behalf of the Local Organizing Committee, the International Papillomavirus Society (IPVS), and the Asia-Oceania Research Organisation in Genital Infection and Neoplasia (AOGIN), we are very pleased to invite you to participate in the 32nd International Papillomavirus Conference & Clinical and Public Health Workshops that will be held in Sydney, Australia from October 2nd-6th 2018. We are excited to host the 2018 meeting in Sydney, Australia. Australia has been at the forefront of HPV research from key innovations in immunology and vaccine development through to the implementation of large scale vaccination initiatives and an upcoming imminent transition to HPV-based cervical screening. We are also very pleased to be co-hosting the meeting with AOGIN, and plan a strong regional focus on HPV control in the Asia-Pacific Region. Our conference theme is 'Towards Global Control of HPV Disease' and through workshops, invited lectures, and oral and poster sessions presenting the latest research results, the conference will cover papillomavirus (PV)-related topics from basic science to global health impact. We will be paying special attention to HPV control in populations that are most vulnerable to HPV disease worldwide, including those in Low and Middle Income Countries and Indigenous communities. 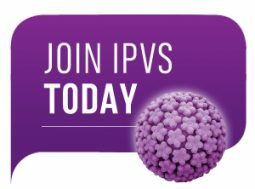 In line with the IPVS mission of addressing the most recent advances across the spectrum of PV research, conference themes will also include the epidemiology and molecular biology of PVs; animal models for the study of papillomavirus disease; impact of the microbiome on HPV; basic immunology and pathogenesis of PVs; therapeutic and prophylactic vaccines; prevention of cervical cancer and other PV-associated diseases, and promotion of the spread of the scientific knowledge to benefit the whole community. Our overarching theme will be harnessing the power of innovation in HPV to deliver global control of HPV-related disease. Sydney is a beautiful city – and our conference will be held at the brand new Sydney International Convention Centre on the Harbour. Please do join us in what promises to be a most extraordinary event! ​Karen Canfell D.Phil ​Silvia de Sanjosé, M.D., PhD.